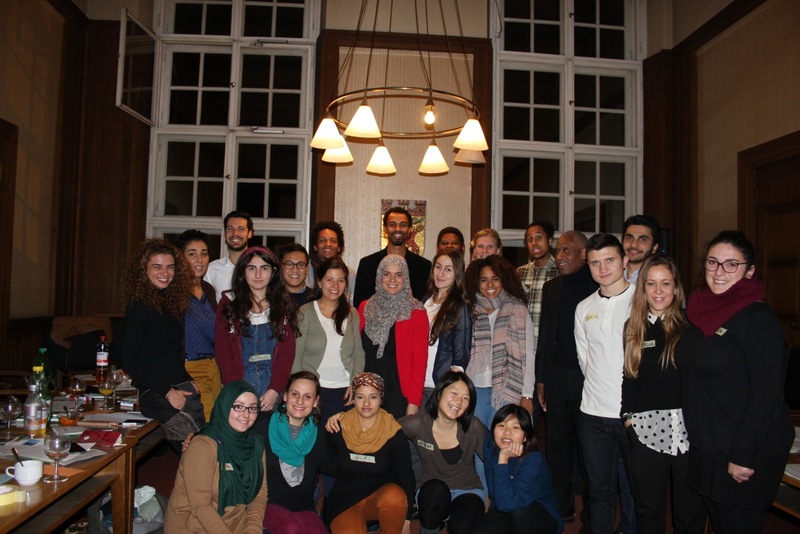 BERLIN, Dec 23 2014 (IPS) - A unique initiative – the Network Inclusion Leaders (NILE) project – has just held its second workshop here to set up a diversity and inclusion network for future leaders from among Germany’s ‘people of color’, or persons from different ‘non-white’ cultural backgrounds. The event was held from Dec. 9 to 13in Berlin’s Rathaus Schöneberg, where John F. Kennedy delivered his iconic “Ich bin ein Berliner” freedom and solidarity speech to 400,000 West Berliners in 1963. The workshop brought together 15 talented game changers aged between 18 and 28 from Afro-German, Turkish, Kurdish, Latin American and German-Asian backgrounds, selected from across the country to engage with illustrious key speakers from Germany, the United States and the United Kingdom in sessions designed to discuss instruments for promoting anti-racism, diversity and migrant-friendly agendas. The speakers included Simon Woolley, Director of Operation Black Vote (UK), Mekonnen Mesghena, Director of Migration and Diversity at Berlin’s Heinrich-Böll Foundation, Kwesi Aikins, Policy Officer at the Centre for Migration and Social Affairs, Nuran Yigit, expert in anti-discrimination and board member of the Berlin-Brandenburg Migration Council, Terri Givens, Associate Professor at the University of Texas at Austin and a specialist in the politics of race, and Professor Kurt Barling, a BBC special correspondent. NILE is the brainchild of two alumni of the 2013 German Marshall Fund’s (GMF) Transatlantic Inclusion Leaders Network (TILN) – 35-year-old Gabriele Gün Tank, Commissioner for Integration in Berlin Tempelhof-Schöneberg, and 28-year-old researcher and social activist Daniel Gyamerah, head of Each One Teach One (EATO), a black literature and media project in Berlin. “Democracy needs strong, well-networked minorities. 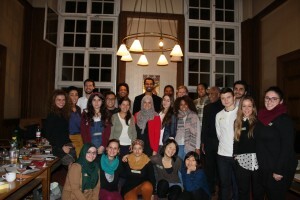 When you look around Germany, from parliament to media, public and private sectors, well it’s still pretty white, there’s a lot of work to be done,” Tank told a GMF alumni reception. NILE was set up through collaboration with NGOs, top institutions including federal ministries and assistance from the influential Heinrich-Böll Foundation which is affiliated with the Green Party, the U.S. embassy and the Eberhard-Schultz-Stiftung (Foundation for Human Rights and Participation). Mersiha Hadziabdic, aged 25, said that she joined the NILE initiative confident that networking and coalition building plays a crucial role in steering change relevant to her generation. Born in Sarajevo, Bosnia, she came to Berlin as a three-year-old refugee when her family fled the Prijedor massacre, one of the worse war crimes along with the Srebrenica genocide perpetrated by the Serbian political and military leadership’s ethnic-cleansing drive, which killed 14,000 civilians. “My background means a lot to me, and for this reason I am involved with the Bosnian community in Berlin, my home town,” she told IPS. Wearing a headscarf in Berlin, Mersiha is often mistaken for a Turkish woman, with its attendant stereotypes of submissiveness and low expectations. But, like 25-year-old Soufeina Hamed, a Tunisian-born graduate in intercultural psychology from the University of Osnabrück, who is active in Zahnräder Netzwerker, an incubator for Muslim social entrepreneurship, Mersiha is an internet savvy and project team member of JUMA (Young Active and Muslim), which offers management, rhetoric and media skills training to young German Muslims. ”I see myself as part and process of this vibrant, committed and capable Muslim youth which has something important to contribute and wants to be involved in the conversation,” she said. Just like Ozan Keskinkilic, an MA student in international relations from a Turkish-Arab background who is active in the Muslim-Jewish Conference (MJC) for peaceful inter-religious dialogue, she noted that this conversation involves engaging in a climate of anti-migrant and refugee hostility. That hostility is currently finding expression in populist rallies, such as the Dresden march on Dec. 8, where 15,000 anti-immigrant protesters, mostly from PEGIDA (Patriotic Europeans Against the Islamisation of the West), marched to the former 1989 freedom rallying cry of “Wir Sind das Volk” (We are the People). Young, talented and ambitious, Mersiha, Soufeina and Ozan are part of Germany’s four million Muslims residents and citizens, about five percent of the country’s population, of whom 45 percent have German citizenship. According to the Verfassungsschutz, Germany’s intelligence agency, approximately 250,000 Muslims live in Berlin, 73 percent of whom are of Turkish background and one-third of whom have German citizenship. They belong to that population sector whose qualifications and skills are raising inclusion and access expectations which demand more level playing fields. The NILE initiative aims to channel personal issues relating to emotional damage inflicted by racism, discrimination or the traumas of fleeing from conflict zones into a process of empowerment towards common, personal and professional goals. Empowerment and leadership tools are taught as means of engaging with the world as it is, gaining an understanding that ‘persons of color’ are neither powerless nor invisible. Participants learned to be part of a critical mass for change, a “majority complex”, to build strategic coalitions to reduce marginalisation, reframe the migration debate as a socio-economic asset, and challenge discrimination and racism with the tools provided by human rights instruments such as the Committee on the Elimination of Racial Discrimination (CERD), a monitoring body of the Convention on the Elimination of All Forms of Racial Discrimination (ICERD). “Martin Luther King did not just have a dream, he had a plan,” said Simon Woolley of Operation Black Vote (UK). Woolley was invited by NILE to explain to the young participants how they can take advantage of the torch handed to them all the way back from the civil rights movement, including harnessing their own electoral muscle because the black vote counts. “The bottom line,” he said, “is that power talks to power”. 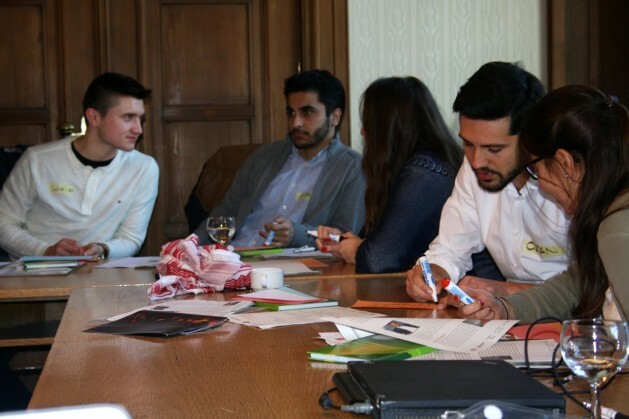 NILE workshop participants agreed that the challenge facing young leaders is to find their role within the constraints of conflicting choices on offer between blending, assertiveness and the tiring fight for a fair share. Maria-Jose Munoz a native of Bolivia, whose research interests focus on the Madera river energy complex on the Bolivia-Brazil border, knows she has an uphill struggle ahead of her – emerging in a white, male-dominated energy policy field. If Germans, etc moved to China, or Kenya, then started to demand “leadership” positions within said country’s and demand the borders be opened completely which would mean a demographic change of the entire nation, those people would be put into an insane asylum…..There are no Afro-Germans, The German people are in fact white, that is not a racist comment that is a simple fact…..Human history up until the last 30 years people have lived in nations with people who look the same and who share a united culture…the US was the 1 exception, but it had a shared culture, and 90 of the people up until 20 years ago were all white people…..Muslims and Christians have never got along and the people between this “diversity” core word divide know this….this is a mutli-pronged attack on the free western nations…most people may not be ready to to admit what is going on, but it is the planned genocide of the white proto-European peoples…with the aid of vaccines white peoples birth rates have come to an alarming halt, autism will be 1 in 2 people born who get vaccine within 10 years…do some research, even though this website is on the wrong side—genocide will not be tolerated…all who ;aid this effort will be punished either by us white people or by GOD……..GENOCIDE is a line no one dare cross………………………….. So you live in Germany? I am half German…..and I may wish to move back to my HOME country…that is why NO you cannot stay in Germany, go to your orginal country…since ALL white nations are being overran at once…Time for war if necessary WE WILL STAND OUR GROUND>…Christian Nations will not fall due to the criminal vaccine murders in Israel China, Jewish Putin, India, etc….